With the high temperatures and life-sapping humidity we’ve been having recently, it’s not easy running through town with a lighted flame! 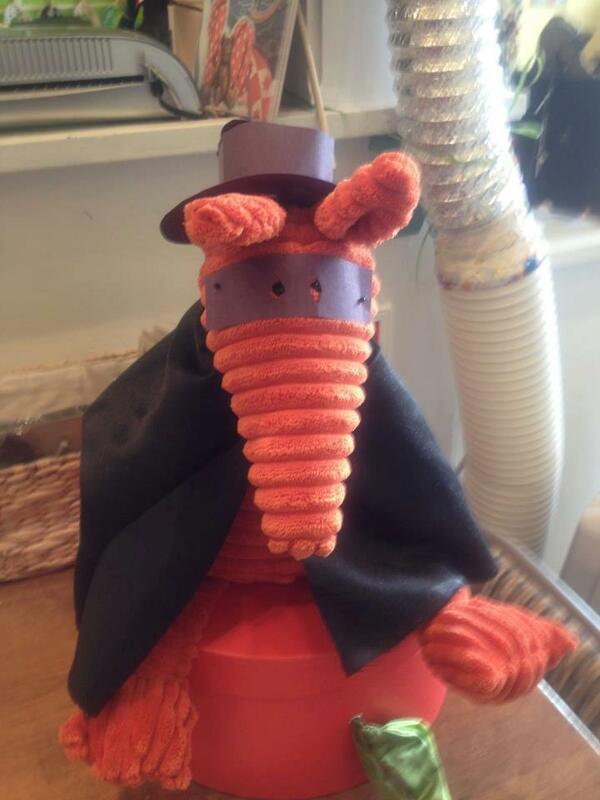 However, Clive is a resourceful aardvark and he knows just what to do to beat the heat! Ice cream at Ricky’s. Need I say more? 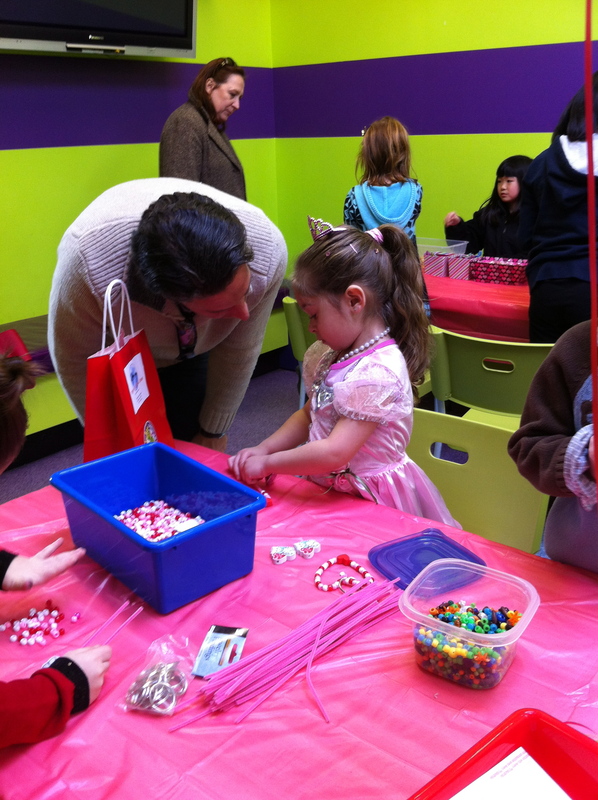 On Sunday, February 12th, we co-hosted our first party with Ricky’s of Red Bank, the local candy store. 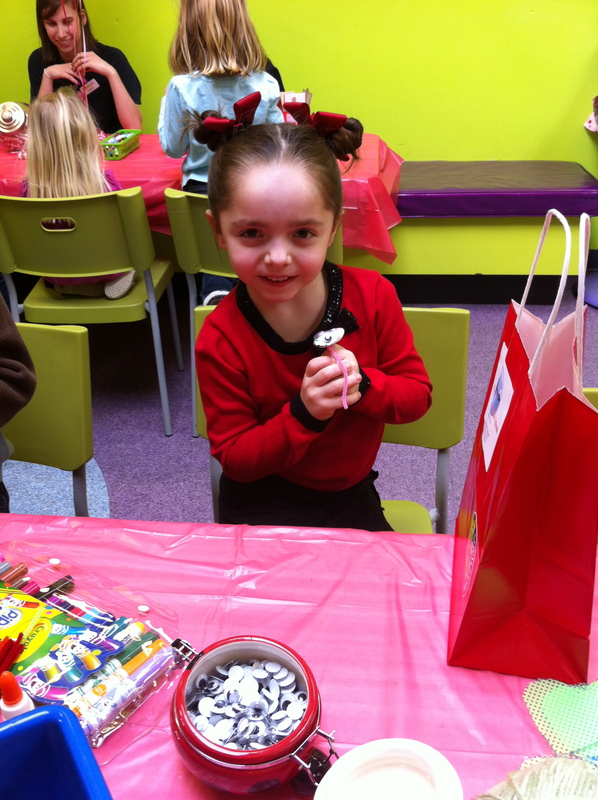 It was a Valentine’s party with fun crafts and ice cream at the end. 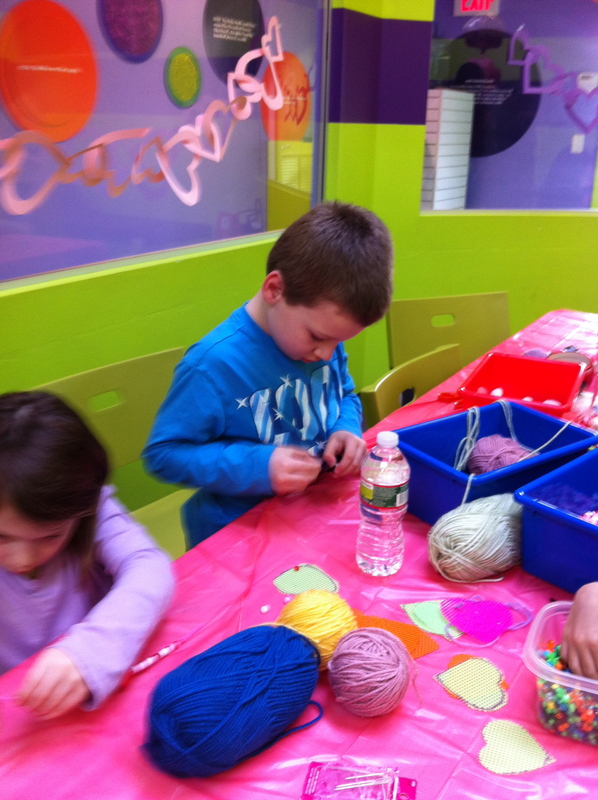 There were 6 separate craft projects the kids could do, set up at stations around the room. 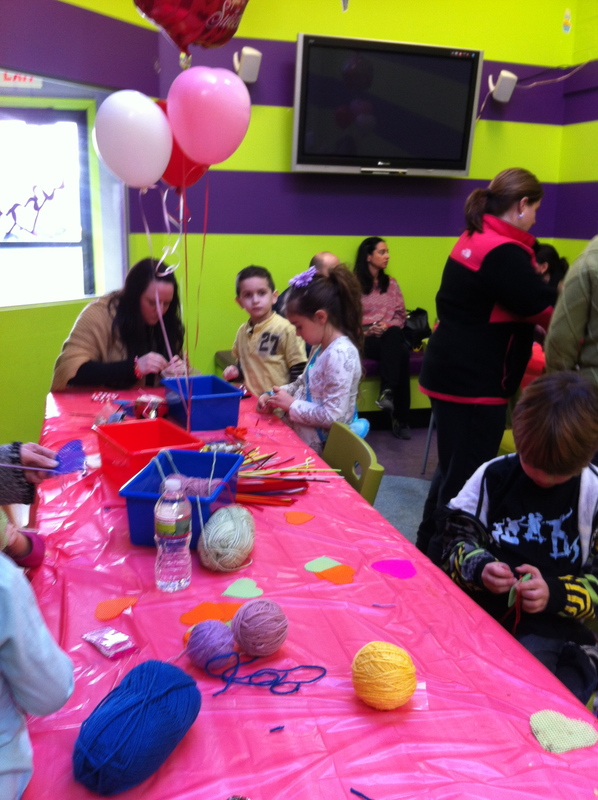 The kids really seemed to have a good time making the different crafts. Most of the parents were really great at helping out where needed. 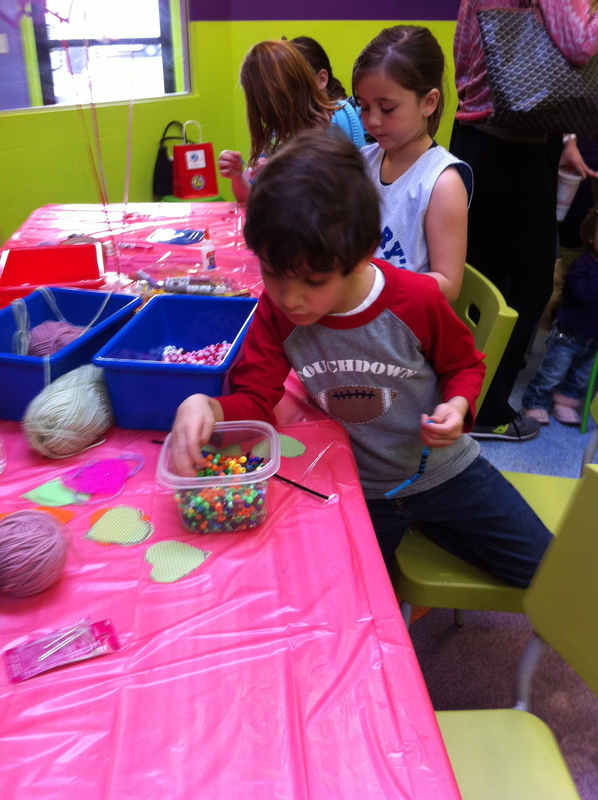 It’s amazing how intent kids will get with some pipe cleaners and some beads! Helen and I have talked about hosting parties at the store but we can’t figure out the logistics of space. 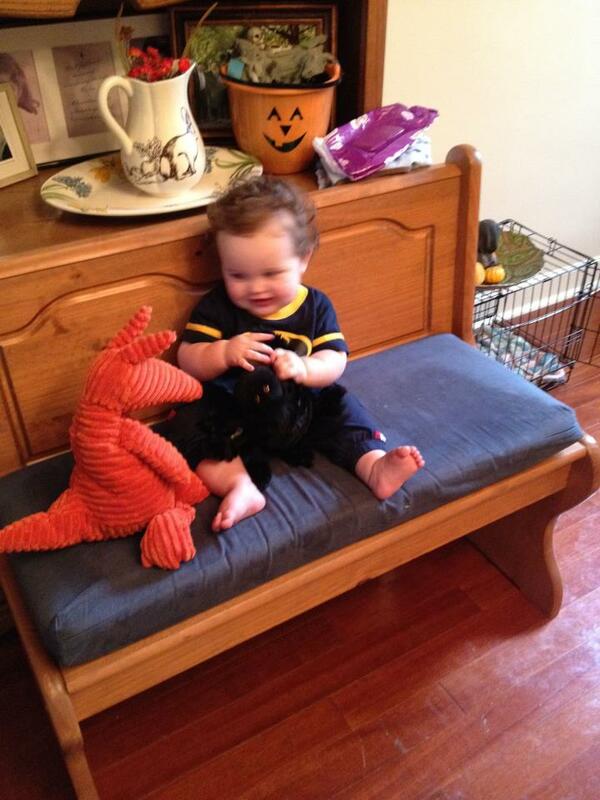 Dirty hands and stuffed animals are not the greatest mix. 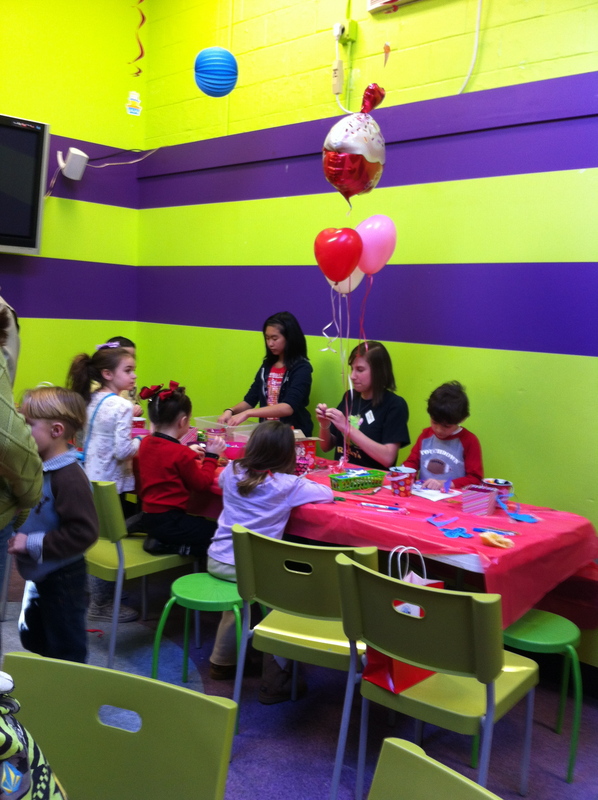 Ricky’s has a separate room just for parties which allows the kids to have fun without getting distracted by the merchandise on the shelves. 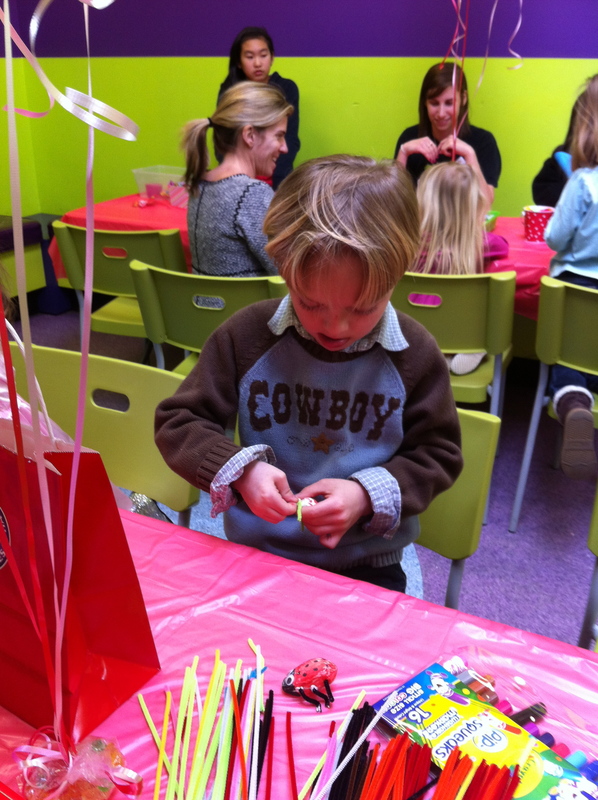 The party was scheduled to be an hour long but it lasted a bit longer than that. 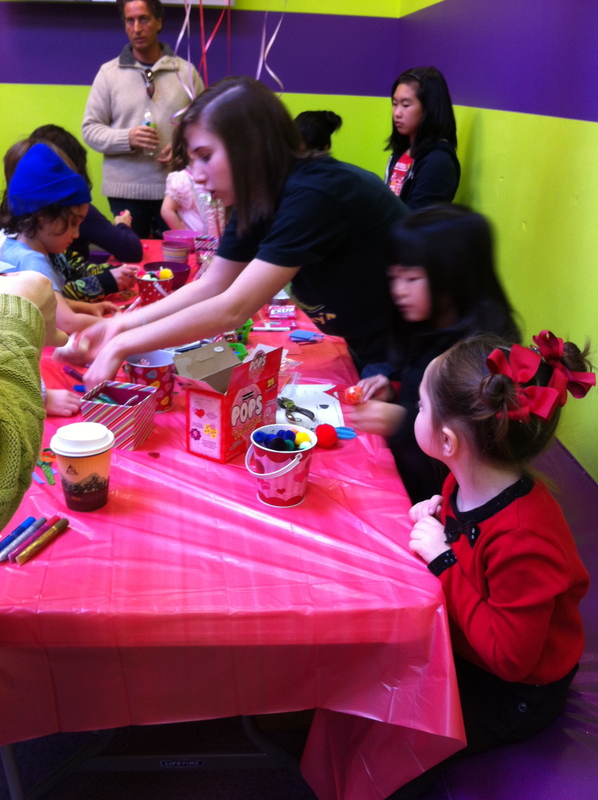 I enjoyed working with the kids (it brought back memories of working with kindergartners again!) and the time really flew by. There will be more parties in the future. Easter Parade anyone?